Once you’re done school, the learning process doesn’t stop. The average Fortune 500 CEO reads 5-6 books a month. 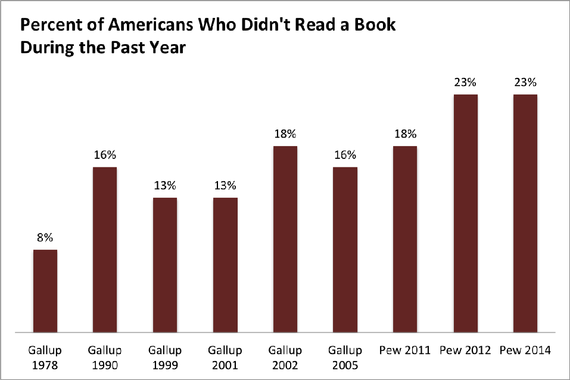 The typical North American adult reads 5 books a year! * Yup. That’s not a typo. CEO’s read 5 a month, and average people read 5 a year. That’s sad. Reading is also correlated with education, so the more educated you are the more you read. Start reading more. Reading stimulates the mind. According to Emory University’s latest study, reading has long-term positive effects on the brain by strengthening the” language processing regions” ( Emory Reading Study). What’s trending in your area? Read everything about your particular industry. What’s the competition doing? Pay attention to the newest/latest books in your area. Invest in your career by buying books. Don’t worry about the $25 you have to spend to get the book….worry about missing the key information in that book that can get you closer to success. Successful people invest in their career by reading, attending seminars, conferences, symposium, etc. Unsuccessful people just worry about the cost of these things or spend weeks trying to find them on sale. Don’t discount the power of books to keep you motivated, inspired and moving forward. Set a target. Read one book a week. In the past 2 weeks I t read a book about spirituality, another one on raising toddlers and one by entrepreneur and Huffington Post creator Arianna Huffington. I read 50-60 pages every night. Set aside 30 minutes every day and read in silence. Turn off your phones and iPad. Turn off the music and just read in silence (preferably before you go to bed). 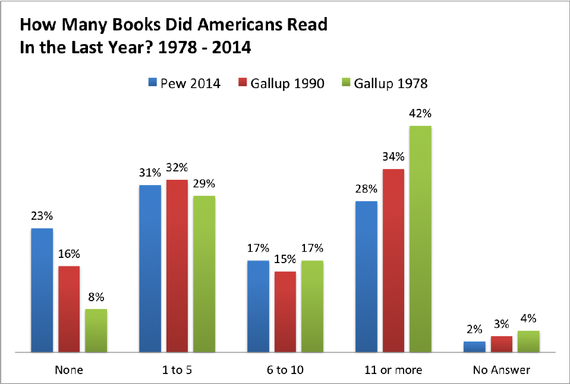 *The medium or midpoint number of book read in a year, means that half of the people surveyed read more than 5 books and half read fewer than 5 books. Vocal Fry —anti-feminist way of speaking? ?